Wet ageing vs dry ageing – what’s the difference? Winner of the Alto Butcher of the Year 2017, Reuben Sharples and his team at Aussie Butcher New Lynn have a reputation for delivering excellent quality New Zealand-sourced meat to cater for every taste. 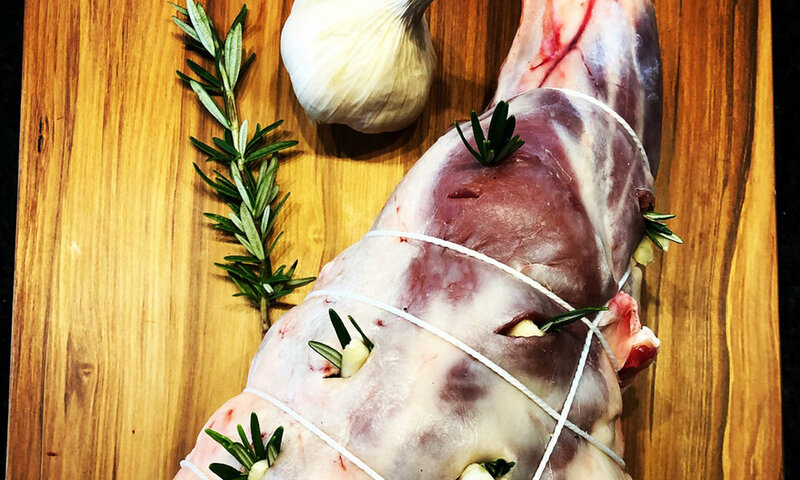 From roasts and chicken to Wakanui dry aged beef, Aussie Butcher New Lynn has all your meat needs covered. Aussie Butcher New Lynn is home of the 2017 Supreme Ham of the Year Award and the award-winning Reuben's range. With our selection of of ribs, brisket, beef cheeks and Boston butts, we're the go-to butcher for low and slow barbecue competitions. For expert advice and to view our range of premium quality pork, beef, lamb and chicken of New Zealand origin only, come and visit us in store at 10 Margan Ave, New Lynn, Auckland. Winner of the 2017 Supreme Best NZ Ham, our Reuben’s ham is now available to order online. Get your weekly meat shop sorted in one hit with our Reuben's Meat Boxes. Order via phone or online and pick up and pay in store - feeding the family has never been easier. Click here to order. Aussie Butcher New Lynn is home of the award-winning Reuben's range. Made in store, our Reuben's products are created using only the best quality ingredients. Reuben Sharples knows good meat - he's got the awards to prove it. As owner/operator of Aussie Butcher New Lynn, Reuben and his team are known for their excellent service and helpful advice. Regarded by customers as 'the best butcher for low and slow', the team at Aussie Butcher New Lynn can offer expert advice on the best picks for the annual Pit Masters competition. Pop in store to see us today. We know exactly what's in our sausages - we make them ourselves. Available exclusively at Aussie Butcher New Lynn, our Reuben's range of hams, sausages and more are handcrafted in store. Need some inspiration? Advice on the best cut to suit your meal? Come into our shop and have a chat with our team. We're open Monday – Sunday from 6am – 6pm. 10 Margan Ave, New Lynn, Auckland 0600. Call Aussie Butcher New Lynn on 09 827 8827 or email us at shop@aussiebutcher.nz. Yes I would like to receive updates from Aussie Butcher New Lynn including specials, this week's meat boxes and more (we promise we won't spam you). Thank you for getting in touch! One of our team members will respond to your enquiry soon. If your question is urgent, please call us on 09 827 8827. Sign up to receive updates from Aussie Butcher New Lynn. We won’t spam you - we promise.